Jed Fallik, son of Josh and Froma Fallik, passed away on July 17, 2011, in Phoenix, Arizona. The funeral will take place Thursday, July 21 at 6:00 pm, graveside at Mountainview Cemetery In order to give the family some time and space for a traditional meal of condolence, please do not head straight back to the home after the funeral. Shiva minyan will take place at 8:30 pm. Thursday (July 21) at 8:30 pm. Friday (July 22) at 7:30 am. Sunday (July 24) at 8:30 am and 8:00 pm. Monday (July 25) at 7:30 am and 8:00 pm. Tuesday (July 26) at 7:30 am and 8:00 pm. Meals for the family are being coordinated by Jackie Seltzer, and at this point have been covered through Shiva. What is still needed is food for the shiva minyanim. It is customary to bring food when making a shiva call. Josh & Froma keep a Kosher Vegetarian home, so please only bring items that are dairy or parve. If you have any questions, please email Hesed@bonaishalom.org. If you would like to make a tzedakah contribution, the family has requested that donations be made in Jed’s memory to the Congregation Bonai Shalom Religious School. Alav hashalom – peace on Jed’s soul. 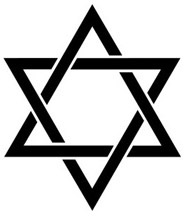 Hamakom y’nachem – strength and comfort to Josh and Froma, Yoni, Rachel and Naomi and the entire family in their mourning.